On October 12th, 2014 – at the Association Volontari Capitano Ultimo Onlus quarters – the event “Bits of Future: Food For All – Africa Supports the HYST for the World” took place. The event was organized by Scienza per Amore, Volontari di Capitano Ultimo Onlus and BioHyst. 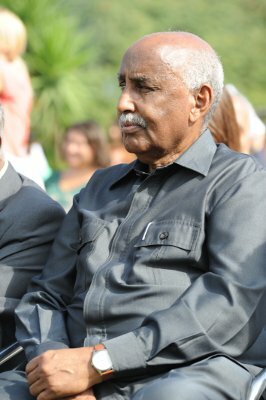 Somali Ambassador H.E. Mussa Hassan Abdulle, Nigerian Embassy First Secretary Mr Mohammed Mustapha Garba, Ethiopian Embassy Minister-Counsellor and Alternate Permanent Representative by FAO, WFP and IFAD, Mr Tarekegn Tsegei Haile, attended the event. Other relevant nations such as Burkina Faso, Rwanda and Mali sent regards expressing renewed interest in the project via their respective representatives. Honorable Mr Lapo Pistelli, the Italian Vice-Minister of Foreign Affairs and International Cooperation, sent well wishes as well. Additionally, many representatives of the Somali community in Italy and International Entrepreneurs attended the event. Bits of Future: Food for All’s operating phase starting in Burkina Faso was announced during the meeting. In a video interview, filmed during the visit of the HYST plant in Balerna, the Burkina Faso Minister of Agriculture and Food Security, Mr Mahama Zoungrana, confirmed his country’s interest in using the HYST to process troublesome plants like water hyacinth. This pest plant, which is currently a threat to counteract, will become an important source of food. The test results obtained by the University of Milan demonstrate how the Hyst process doubles the water hyacinth’s nutritive value. As a result, the diets of livestock and fish populations consuming HYST processed water hyacinth will improve and consequentially the human population that will then consume these animals will improve as well. Following the water hyacinth many other types biomass coming from developing countries will be tested. Somali and Ethiopian representatives intense and touching words of support to the project followed the Minister of Burkina Faso’s video. Scienza per Amore’s path has been long and hard, today’s results are comforting though, as is the appreciation of Giorgio Napolitano, President of the Italian Republic, and the General Secretary of the Presidency. Now the “fuel” needed to go on is the interest shown by the economic and industrial world: from the hundreds of companies interested in the early October meeting to the Unione Petrolifera (The Italian Oil Companies Union). On Monday October 13th, 2014 the defense had the opportunity to speak at the preliminary session of the court case regarding the HYST. On October 20,2014 there will be another session which should conclude the trial. With any hope, the court case blocking the project Bits of Future: Food for All (now internationally renowned) will be dropped and all details of its unjust persecution will come to light. “I’m a FAO and IFAD representative. […] Ethiopia is located in the oriental part of Africa, we count 90 million people, 83% of whom live in rural areas and rely on agriculture. We produce many different crops such as cereals, legumes and various kinds of oilseeds. Even if we have various types of crops we have trouble using them. Many investors are not interested in the agroindustrial processing industry. “I here confirm my personal and my Country’s interest in the project and also will keep informed our new Hon Minister of Agricultural Resources of Rwanda, who received the mandate by the end of July 2014. I wish great success to the organizers and give you my best regards“. (October 9th, 2014 Letter by Rwanda Honorary Console, Doc. Francesco Alicicco).